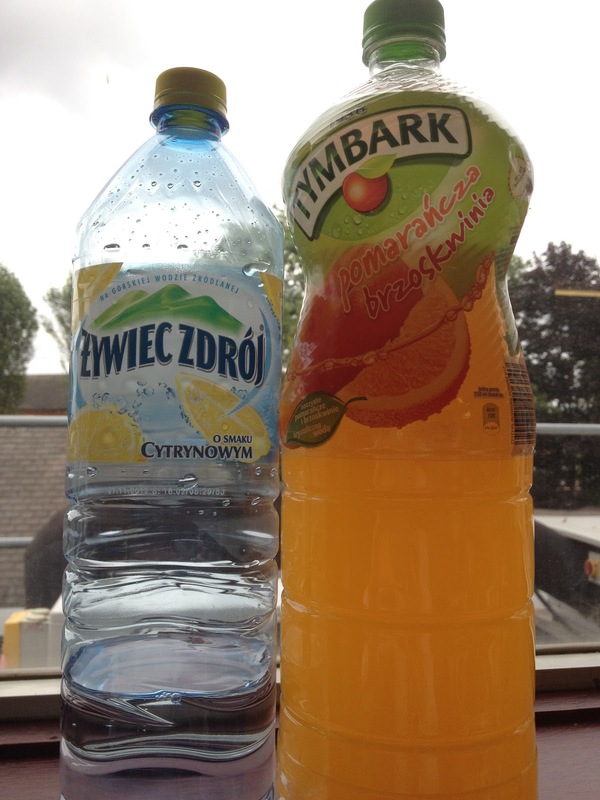 I've featured various drinks from Polish grocers before, including a different Tymbark drink, but the constant voyage of discovery that is caused by my overly warm office must continue! First up is Zywiec Zdroj Cytrynowym which I am going to simply shorten to Lemon Water. This is a strange one for me to choose after complaining about the mild flavours of previous water based drinks, but as I needed something refreshing for the office I figured I'd give it a try. This feels almost wrong in that it has no colour but a stronger flavour than the ones that do have colour. Mind boggled. The flavour is very lemony but also very artificial, i'm sure it's all calorie free mind-bending sweeteners and has no sugar in at all. My friend drinks a lot more bottled water than I do (the fool) and pointed out that the logo was practically Volvic. One hard Google later I found that this Lemon Water is made by Danone who also make Volvic, but that it's a variety made in Poland for the Polish (which is why they imported it). The shop also had about 10 other flavours of water to try, but I'm not convinced. If they have bothered to ship water over from Poland it's probably at least slightly addictive so I'm not going to risk it. This Tymbark Peach and Orange (I think) was actually quite nice. Again to suit the Polish tastes it's overly strong - like a partially diluted cordial - which I love. I was having this as a breakfast drink at work which was a suitable pick me up with no caffeine to cause slumps in the afternoon. The orange is more of a satsuma kind of flavour and the peach is this high-pitched sweetness screaming in the background. I prefer the green flavoured Polish drinks if I'm honest, but this was a nice change and much more suited to the morning. Odd, seeing this just now, as I passed by a shelf full of these, yesterday in a stateside 'dollar store'. I just bought some of the lemon flavored water (at a local German deli) - and I love it! It had just a touch of carbonation. It has a lemony, just a touch of sweetness. So not sure if this is sugar free. Would be good if it were. Enjoy!